More hot music from the Swedish Kingdom that can guarantee a warm winter for all who are going to spend the coming months on the Northern hemisphere. 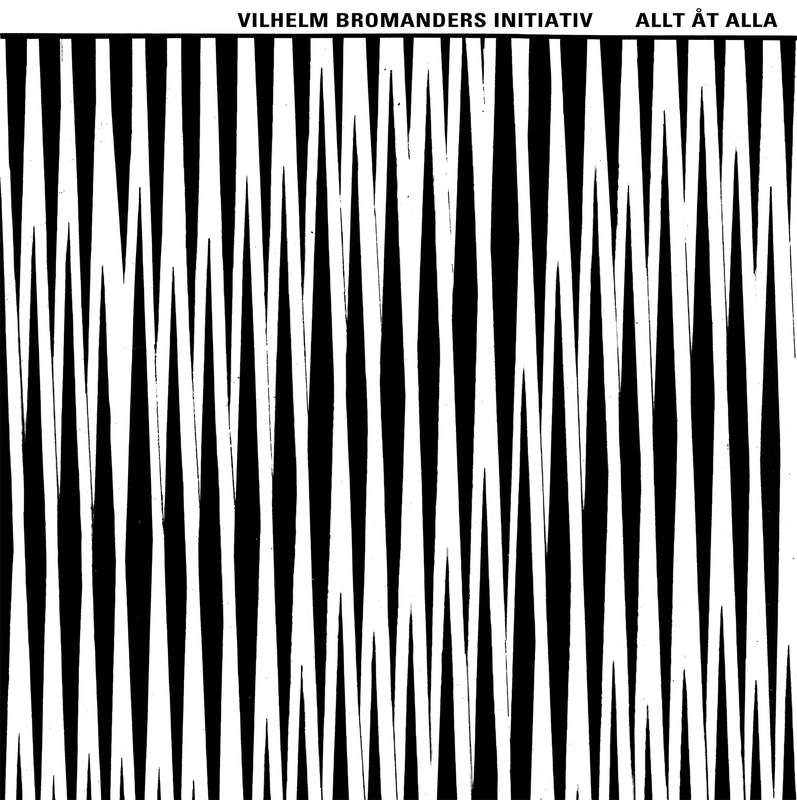 Vilhelm Bromanders Initiativ is a new quintet led by young double bass player Bromander, exploring the free jazz of the sixties - when music was like a “raised fist, heard in every note” - and contemporary improvised music, all in a collective, non-hierarchical manner. Bromander is known from the groups The Ägg, pianist Klas Nevrin's Revoid Ensemble and drummer Anna Lund’s Hurrakel! band. His Initiative features trumpeter Niklas Barnö (Fire! Orchestra, Je Suis! And Snus trio), pianist Lisa Ullén (leader of her own quartet, duo with double bass player Nina de Heney, Anna Högberg Attack), drummer Christopher Cantillo (Parti & Minut, Viva Black), and young sax player Marthe Lea. 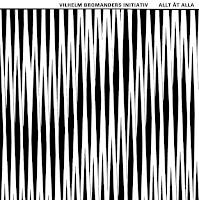 Allt åt Alla (everything for everyone) is a limited-edition vinyl (only 300 copies), recorded in October 2015. Bromander leads the Initiativ with great authority, balancing cleverly between the abstraction of the strong, melodic themes and the joyful improvisations. He and Cantillo set a restless, infectious pulse for the Initiativ, leaving enough space Barnö, Lea and Ullén to pursue extended, intense improvisation.With such natural, experienced improvisers as Barnö, Ullén and Cantillo, and obviously Bromander himself, even Lea, the Initiativ can not go wrong. The longer pieces - “Rockefeller Rock”, the title-piece and “en Bortglömda Utopin” (The Forgotten Utopia) stress how the Initiativ shifts organically and instantly between restrained balladic modes to ecstatic, hard-swinging improvisations and even sound-searching, abstract solos. 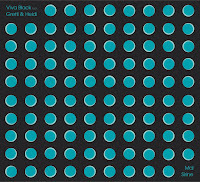 The Initiative brilliant music do nod to past masters, especially Charlie Mingus and Don Cherry, but sound fresh and and powerful. How does the warm and soft timbre of wood sounds when it meets the whining, cools and shiny sound of glass? The chamber-jazz-meets-contemporary and folk-music trio Viva Black - double bass player and leader Filip Augustson, violinist Eva Lindal and drummer Cantillo - answers this intriguing question. The third album of the trio, Mal Sirine (precious home in Swedish), is a collaboration of Viva Black with the sisters duo Gretli & Heidi, aka Catharina Backman and Carin Blom, who sing, yodel and play on glass harp. glass bells and glass bowls and bottles. This unique collaboration began in 2015 when Augustson was awarded a grant to compose music together with Gretli & Heidi and drummer Peter Danemo. The new music was premiered a year later in The Reactor Hall R1 in Stockholm, once the first nuclear reactor of Sweden but nowadays a experimental performance space, 25 meters deep in the ground. Danemo, Augustson and Backman and Blom contributed compositions for Mal Sirine. 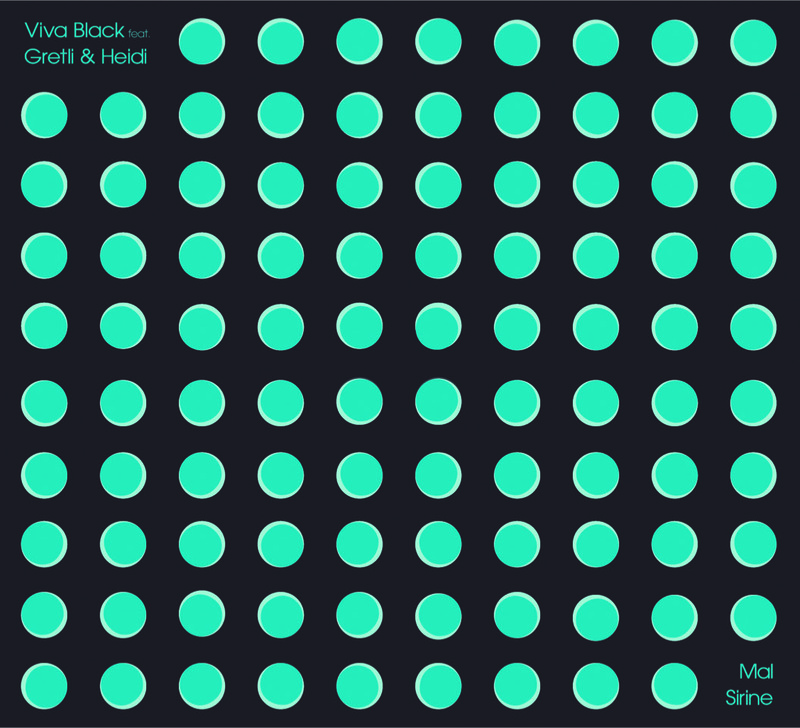 Danemo’s title-piece employs the full sonic spectrum of the the extended Viva Black, exploring at first abstract yet tense soundscape that patiently blossoms to a mysterious, gentle ritual, later Augustson and Gretli & Heidi lock it in a light-swinging rhythmic patterns. Augustson’s “Drew’s Brew” bass line was inspired by master Drew Gress, but here it suggests the course to atmospheric, delicate horizons where the silent glass meets the singing violin . 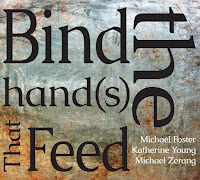 Backman three-parts suite “R1” is the most challenging, politically motivated piece. The expressive glass sounds are used as thematic departure points, conceptualizing an atomic bomb detonation. First, the quiet, almost soft, annihilating heat radiation, then the deafening, cacophonic massive shock waves and last the sudden death of the intense thermal winds, expressed here as a rhythmic, passionate yodel-fest. Some kind of a gruesome death. Seval is the Swedish group of Chicagoan cellist Fred Lonberg-Holm, originally formed as a one-off project to perform his songs and which previously recorded only instrumental piece. 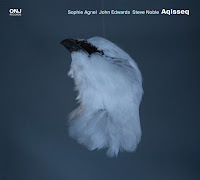 Fragile is the third album of Seval and unfortunately the last one by the Chicagoan and the four Stockholm-based musicians - vocalist Sofia Jernberg (Fire! Orchestra), trumpeter Emil Strandberg, guitarist David Stackenäs, and double bass player Patric Thorman. Lonberg-Holm composed songs especially for Seval and over the years the quintet have developed new strategies of negotiating with the songs. These songs navigate freely between art songs, classic jazz standards and pop formats, but do not commit to any convention. Lonberg-Holm’s strong melodic lines and Jernberg’s exquisite, operatic phrasing and her more eccentric wordless vocalizations are the core of Fragile songs. 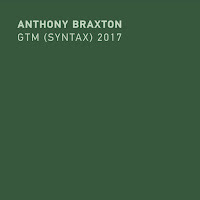 Their contemplative abstraction of the songs’ tenuous-melancholic, emotional territories is later reflected by the whole quintet reserved, nuanced interplay. But there are few exceptions. 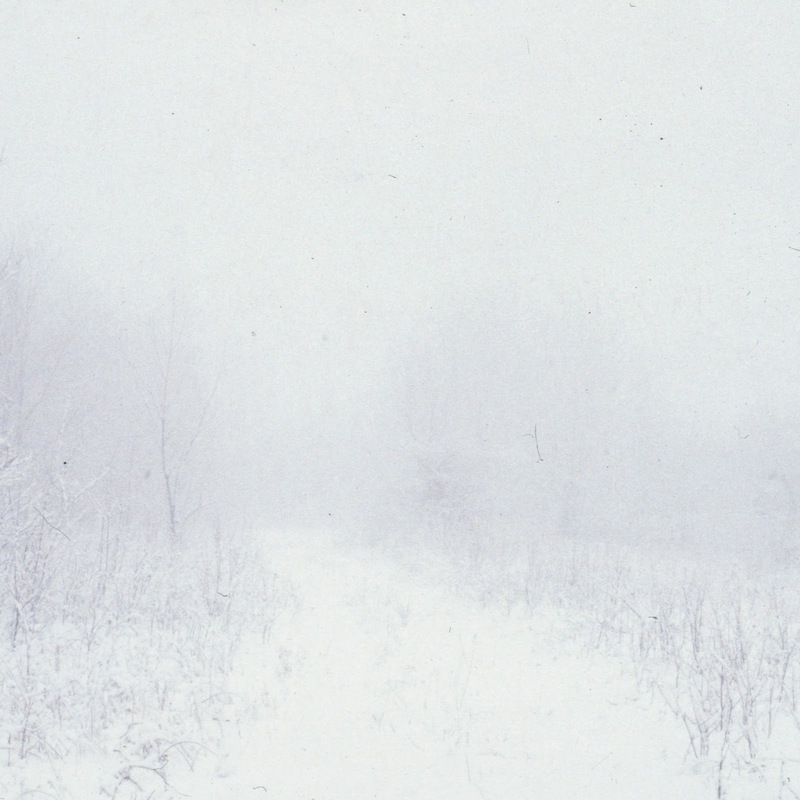 “I Am Not Worried” adopts a more urgent and chaotic interplay and “Empty” follows in a similar vein with the timbrel searches of Lonberg-Holm and Stackenäs, balanced by the gentle phrasing of Strandberg and the solid pulse of Thorman. The last song, “We Are Not Alone”, concludes Seval beautiful journey with a song that alternates between the dark and dissonant and the gentle and melodic. Like most relationships and like the adventurous work of Seval. Jari Haapalainen Trio fuses jazz, rock and funk in a series of stripped down, driving and powerful blows. JH3's aesthetics are simple but very effective. Down to the bare essentials, spitting concise sonic shells, and racing to the next one. 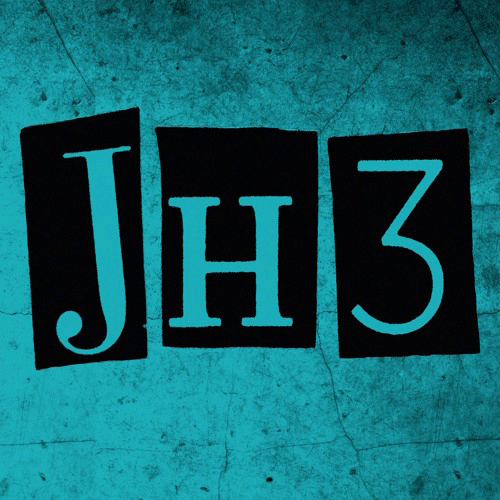 JH3 trio features drummer Jari Haapalainen, a busy pop and indie music producer who has played in The Bear Quartet; sax player Per ‘Texas’ Johansson (Fire! Orchestra, the orchestral works of of double bass master Barry Guy) and electric bass guitarist Daniel Bingert, a recording engineer, known from his work with local pop star Robyn and with ABBA’s Benny Andersson. JH3's aesthetics are simple but very effective. Most of Fusion Machine and Fusion Madness pieces are about two minutes and even less. The trio often introduce an infectious theme or a killer riff, grind it in a typical aggressive mode, dance with it a little bit more, then spit it out. There is no time to spend on redundant technical acrobatics. Few pieces stand out on Fusion Machine - the balladic, emotional “Ingrid 15”; the ironic-playful-swinging “Ich bin ein berliner” and “Mörka rummet” that sound like a theme for a TV crime show. JH3 recipe works better on the more varied Fusion Madness. Still, such a title commits the trio to a higher standard. Now JH3 sounds as a swinging version of John Zorn’s Naked City blended with George Clinton’s Parliament/Funkadelic groups. Tight, aggressive and super fast, but less punkish. Johansson is a charismatic improviser and articulates the strong melodies with economic authority, flying over the fat rock-solid bass lines of Bingert and the driving pulse of Haapalainen. You can listen to pieces like the mean ballad “Sleep Is The Cousin Of Death” or the seductive “I Det” and “Our Man in Berlin” repeatedly, almost forever. The last piece, “Amnesie Versus Hausaufgaben” (Amnesia versus Homework), with German vocalist Mirko Köhler (known also as Fuse Empire) is a brilliant conclusion to this album. 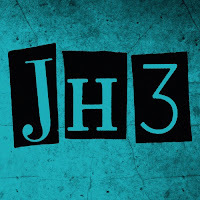 You can order the third album of JH3, Fusion Nation, soon at your nearest record store. JH3-Jari Haapalainen Trio New Release April 2017 Fusion Madness Trailer from daniel bingert on Vimeo. 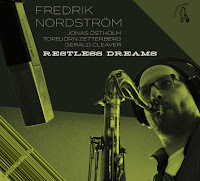 Tenor sax player Fredrik Nordström is known from previous collaborations with pianist Bobo Stenson, double bass player Palle Danielsson, and American viola player Mat Maneri , and the bands Dog Out and The Country. 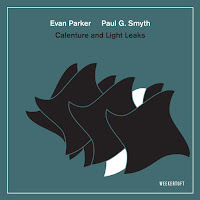 His new double album features a classic jazz quartet - pianist Jonas Östholm, double bass player Torbjörn Zetterberg, and American drummer Gerald Cleaver, exploring two complementing sides of his art. Nordström is well-versed in the history of jazz and Gentle Fire is rooted in the legacy of modern jazz on both sides of the Atlantic. He dedicates a heartfelt composition to Swedish pianist Bengt Egerbladh, who composed most of the music to the classic jazz album of Lars Lystedt Sextet Jazz Under The Midnight Sun (1964), and offers a reserved, contemplative cover of the Henry Mancini/Johnny Mercer standard “Moon River”. Restless Dreams offers a more personal, open and inclusive perspective on the jazz legacy and music at all. The moving ballad “KK” is dedicated to the Polish film music composer and pianist Krzysztof Komeda. The mysterious-haunting “Volacno Ballad” pays tribute to the Icelandic singer-artist Björk, Nordström cleverly abstract a marching motif of Carla Bley on “Don’t Bley Me” and concludes with another beautiful homage, the meditative “Everlasting Moments”. This piece was composed after the periodic film by the same name (2008) that followed another heroic woman, working class photographer Maria Larsson, and was directed by Jan Troell with a soundtrack by Matti Bye. Pombo means dove in Portuguese. Pombo is also the name of a quintet of Stockholm free birds. 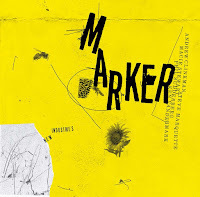 Blåmärken (bruises in Swedish) is the third album of this group that mixes poetic-furious, protest pop songs - all sung in Swedish - with fiery sparks of free jazz. Pombo front line features pianist Felicia Nielsen, sax player Anna Högberg leader of her own groups Attack and Dog Life and member of Fire! Orchestra, and vocalist Marie Hanssen Sjåvik, supported by the rhythm section on double bass player Gus Loxbo and drummer Nils Wall. Blåmärken portrays the contemporary world where all those who were left out on the outside carry some kind of bruises. The single from this album, “Lampedusa”, after the Mediterranean Italian island where the Syrian-Kurdish three-year-old refugee kid Aylan Kurdi drowned on its shore, captures best Pombo message. The song begins with a catchy-rhythmic motif that makes you hum it instantly, disturbed by the subtle electronics of guest Christof Kurzmann. But after surrendering to the passionate vocals of Hanssen Sjåvik comes roaring baritone sax of Högberg and bring you back to the painful reality. This song climaxes with a concise, Brötzmann-like raging sax solo that mirrors the thorny lyrics that calls the European leaders sick and fools. 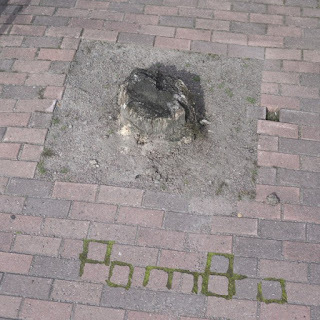 Pombo is a good find! Thanks!